Travel with us to Haiti and experience the ministry of our local church partners firsthand. This trip offers a unique window into comprehensive orphan care, prevention, and transition initiatives. We will visit orphan care and prevention ministries in and around Port-au-Prince, reflecting on the efforts of local champions to sustain local children and families. Your team will also explore the beauty of Haiti, discovering why the island was called the Pearl of the Caribbean. Our team on the ground is eager to introduce you to life in Haiti! You’ll meet local pastors and mamas providing family and home for vulnerable children, as well as business owners creating new opportunities for employment. You’ll visit historical sites and places of incredible natural beauty. And, of course, you’ll meet children in our partners’ care. You and your team will experience the kindness, openness and hospitality so common within Haitian culture. You’ll try local cuisines, including the wildly popular pikliz. You will observe both the beauty and struggle of daily life while you travel through the city and countryside. Come prepared for a healthy dose of sunshine! Haiti’s climate is tropical, so average daily temperatures range from the high 60s to the low 90s, and humidity is typically high. November – March is Haiti’s dry season, while April – October is rainy season. Haiti lies within the Caribbean’s hurricane belt, so tropical storms and hurricanes are possible from June – October. Your passport must be valid for at least 6 months following your arrival and include at least one blank page. To renew or apply, visit passports.state.gov. You do not need to obtain a short-term visa. 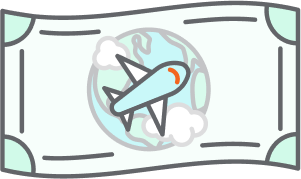 There is no need to obtain a short-term visa to enter Haiti, but a $10 entry fee is required upon landing. We recommend following the CDC’s guidance on vaccines and medicines as you prepare to travel. For more information about traveling to Haiti, please refer to the CDC’s website. French and Haitian Creole are both official languages, but Haitian Creole is the most universally understood. Of course, translators will be available to help you converse, but we’ve provided a few phrases if you’d like to practice! Our packing list provides tips and details for everything you’ll need on your journey, including suggestions for items you could bring for children in care. The GO Guesthouse (formerly known as Jumecourt Inn) is owned and operated by The Global Orphan Project. Located in Croix-des-Bouquets, just a short drive from Port-au-Prince Airport, the welcoming guesthouse staff provides security and cleaning services, two meals each day, and a gift shop. What are passport and visa requirement for Haiti? Passports for U.S. citizens traveling to Haiti must be valid for six months following entry and include one blank page. Your adventure starts before you leave home. Tell your story and give friends and family the opportunity to play a vital role using our online fundraising tool.